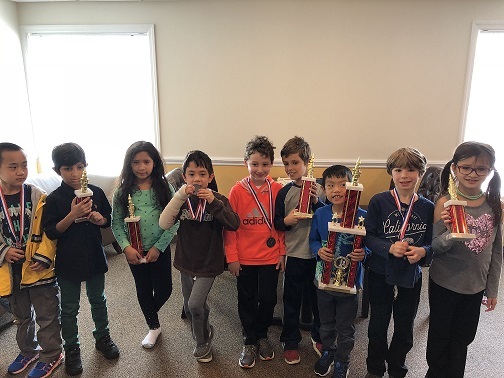 This month's Scholastic Championships hosted 32 eager and talented players. 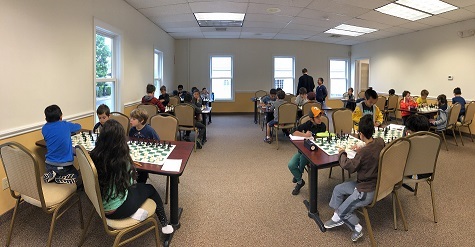 Our K-2 section contained 10 young and determined players. 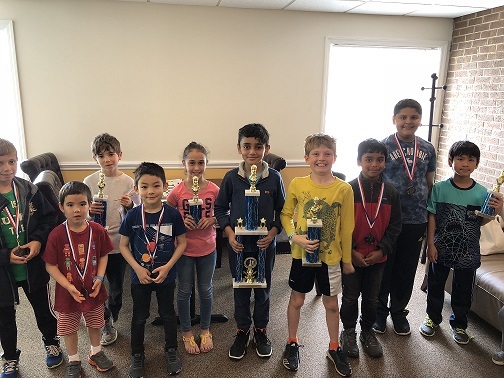 In fifth place with 2/4 total points is Aaryan Agarwal. Anja Schiwek, earning 2.5/4 total points, secured fourth place in this section. Also earning 2.5/4 total points, Levi Feldman placed third. Jasmine Thiessen, secured third place, earning 3/4 total points. Lastly, Anthony Low, earning a perfect score of 4/4 total points, won the top spot of first place. Our K-5 section hosted 14 competitors, making it our largest section of the day. Earning 2.5/4 total points, Brian Yee secured fifth place. Shaina Mezheritsky, Ian Moffitt, and Oliver Samardzija each earned 3/4 total points, and through tie breaks placed fourth, third, and second respectively. 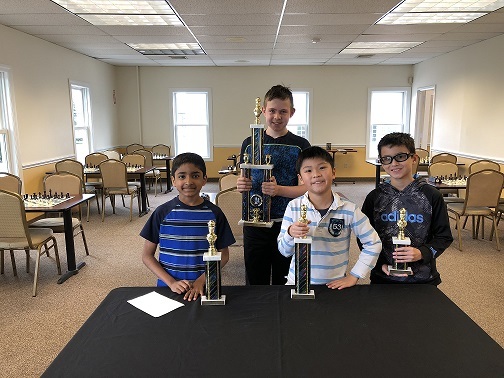 Divij Dogra earned the top spot in this section, earning a perfect score of 4/4 total points. Lastly, our K-12 section held 8 players who all demonstrated amazing sportsmanship. Earning 1.5/3 total points is Sahil Vora, who earned fifth place in this section. Thomas Schiwek, also earning 1.5/3 total points, placed in fourth. Harikumar Palaniappan and Andrew Zhong tied, each earning 2/3 total points, and through tie breaks, they placed third and second respectively. Nathaniel Moor earned first place in this section, earning a perfect score of 3/3 total points. Congratulations to all of our winners and thank you to all of our participants! We hope to see you again soon!